Serving All Upstate Area Middle Schools! 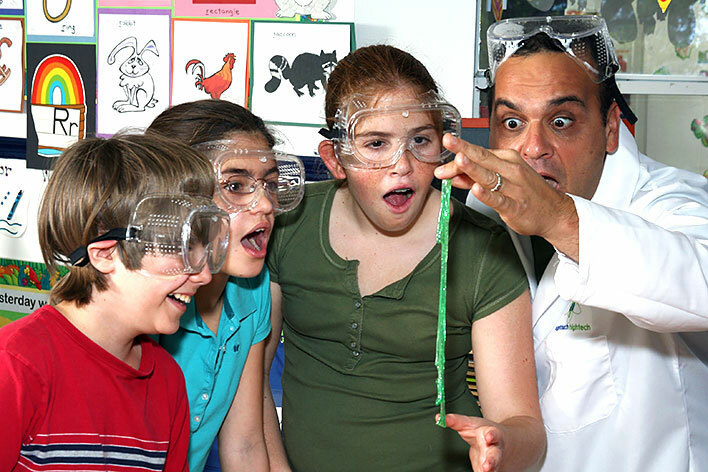 Science Education Made FUN Through Hands-On Exploration! High Touch High Tech of Greenville/Spartanburg allows students to discover the realities of science in their everyday lives by providing a hands-on experience that goes beyond the classroom. 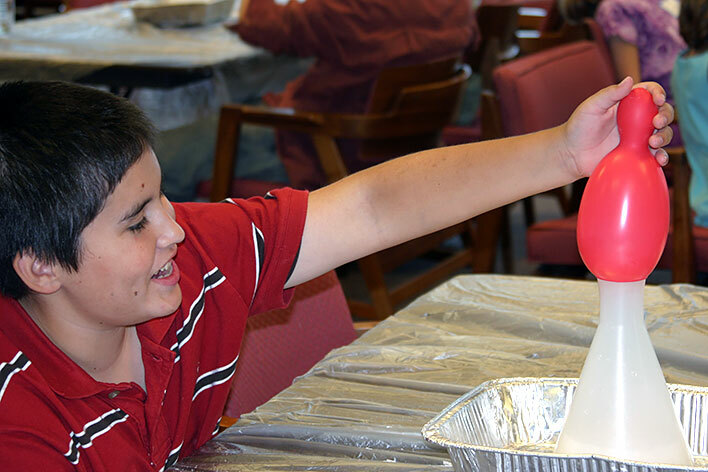 Middle school students in grades 6-8 can become a real scientist and have fun while learning the fundamentals of Earth & Space Science, Biology, Physics, & even Chemistry! High Touch High Tech program are aligned with National & South Carolina State Standards in Science to address the ever increasing need to meet standards, while helping students build confidence for standardized testing. High Touch High Tech creates a student-scientist partnership, offering many opportunities for students ranging from direct participation with the professional scientific community, improvement in student attitudes and scientific growth, and offers educators a way to enhance the classroom experience for their students. Our programs present young teens with problem-solving skills as well as build self-esteem and help establish a positive regard for learning. High Touch High Tech programs provide students with the opportunity to interact with their peers, share ideas and contribute to inquiry based discussions that support the way in which students naturally learn. "The students were continually engaged and enthusiastic about the material being presented. They were learning without realizing it! It was awesome!" In-class workshops offer middle school students a fun, challenging, hands-on introduction to the skills they will need in high school, college, and the workplace. We use materials that are concrete, safe, and relative for the entire class. Conducting an experiment first hand encourages the class to develop their scientific interest and inspires them to learn. Edison's Workshop© Explore the amazing world of electricity. 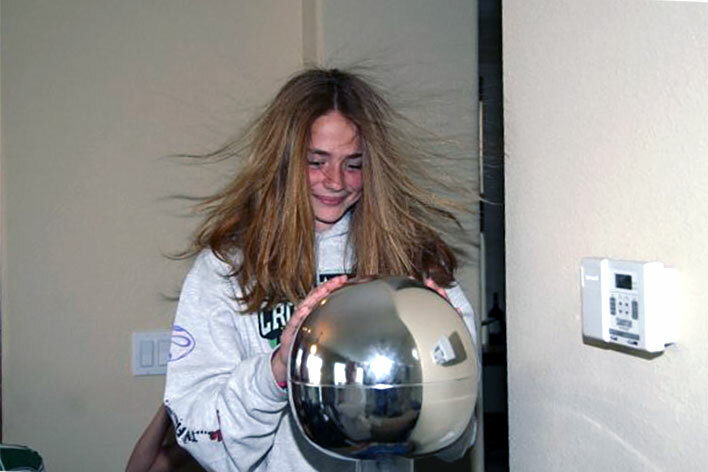 Learn what's "current" as you make your very own electroscope and much more! Get all the Hair-Raising facts! Cosmic Capers© Travel through space & explore our solar system. Discover how cool the sun really is. Have a real impact, as we become crater makers. Learn about our planets, the moon, eclipses and much more. Enjoy some astronaut ice cream! Program fees are usually paid by Parents, PTA/PTO or Grant Dollars. Looking for help to fund your next High Touch High Tech workshop? Book online with our simple reservation request form or call today to schedule your next in-school science field trip with High Touch High Tech!